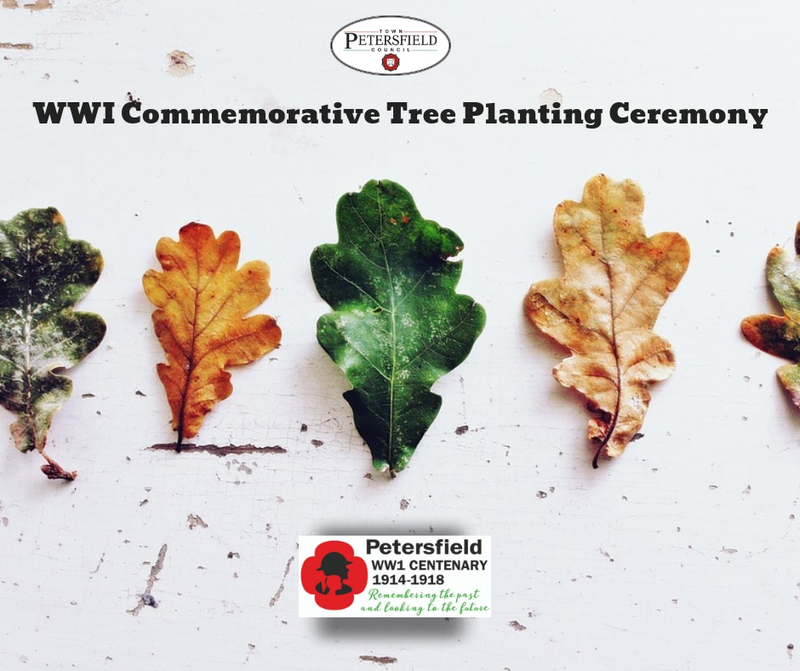 East Hampshire MP, Damian Hinds joined Petersfield Town Mayor, Hilary Ayer and other council members in planting a commemorative Oak Tree to launch the planting of 111 trees in memory of those listed on the Petersfield War Memorial who gave their lives in the Great War (1914-1918). 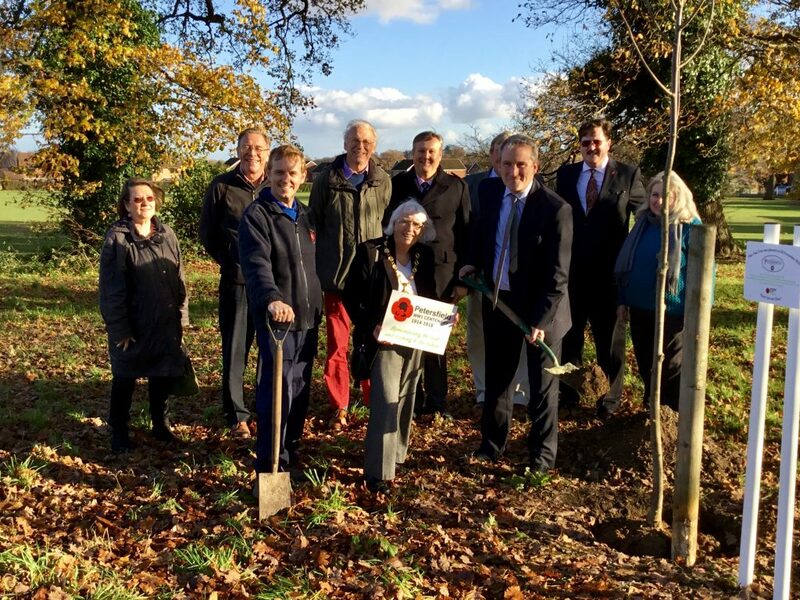 Also planted was a Rowan Tree donated by the Woodland Trust as part of the Queen’s Commonwealth Canopy. 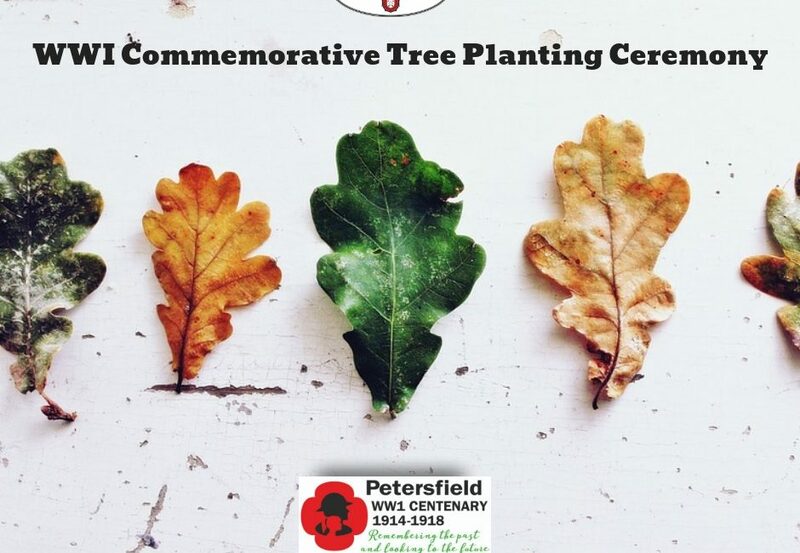 These join a Silver Birch which was planted on 11/02/2016 by Cllr Lesley Farrow in commemoration of Her Majesty Queen Elizabeth’s 90th Birthday.